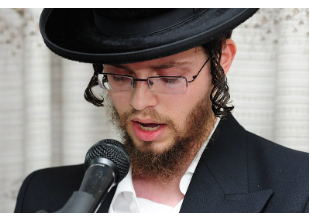 The horrific murder of young Leiby Kletzky z”l last week touched the heart of Dutsi Gutstein, the sole survivor from the terrible train disaster that occurred a year ago near Kiryat Gat. Last summer I lost, in the most upsetting and tragic way, my wife (who was in advanced pregnancy), my son Motti (2 years old), and my father-in-law and mother-in-law with their entire family, in a train accident. It took a few days until they told me about the disaster that had taken place. Deep down inside me, though, I knew that a terrible tragedy had occurred, but in my heart I pushed aside those thoughts. When they came to tell me, I was mentally prepared because of the premonition I had beforehand. One moment before the announcement a strong feeling of faith took hold of me, that everything was from The Blessed One, and that He gave me the merit to meet and marry into this wonderful family, and that together with my wife we would had expanded the next generation with another grandson. I can’t explain at all what gave me strength. What I can explain and what I know is that Hashem is with me every single moment. Since the disaster I feel Him with me constantly. If a thought should arise that might break me, immediately a new thought replaces it, of this merit and of the faith that everything is from Hashem, May He be Blessed. I feel as if nothing can break me. This past week I have followed the story of your son Leiby, z”l. On one hand, the violence pained me terribly, yet on the other hand I was gladdened that he was found and given a Jewish burial, and I followed the developments of this tragic story, moment by moment. I had so hoped that he would be found alive and was so bitterly disappointed that he was not discovered alive. I am absolutely certain that deep inside you, as a father, you knew exactly what his predicament was, only you tried to push off those thoughts and hoped that he would be found and that everything would be fine. And when he was found and they came to tell you, you accepted the Divine Judgement with love, because you already knew the Truth, and had the spirit of faith that is within every Jew that everything is from The Blessed One. I was very emotional during the eulogies, which were so heartfelt. I cried (and I don’t usually cry) with you, yet I saw from the words you spoke that you were in Good Hands. You are in those same Hands that I find myself in. Those Hands which will not let you and your wife fall into despair. Those Hands will only help you to move forward in life, Those Hands will hold you and strengthen you always, whenever you need support. Think for a moment: If we were not Jews of faith, I am sure of myself that I would no longer be in this world, or else I would have been institutionalized in a mental hospital. 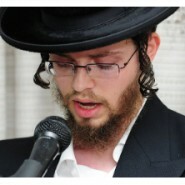 Through the merit of my faith I become stronger every day, there is no minute or second that I don’t remember them: on the contrary – due to the merit of my faith I constantly live with the feeling that I truly merited to be Hashem’s messenger – that enabled me to live with my wife, and our son Motti in the life we lived together. Rav Kletzky, I send you my deepest, deepest condolences from within and wish that we should merit the bringing of Mashiach speedily in our days, and that with the Resurrection of the Dead we will be reunited with our dearest loved ones. Hamakom Y’nachem Etchem Betoch Sha’ar Evlei Zion Yerushalayim Ve’lo L’Daava Od. How true. I had these same thoughts 11 years ago when my brother died suddenly right before Rosh Hashana. I felt that the timing was clearly ordained by Hashem, since (among other reasons) the tefillot of Rosh Hashana are all about Hashem as the King, the One who is in charge of the world and determines what happens. Nothing is random. HaMakom yinachem…the One who brings us such tragedy is the only One Who can also bring us comfort. wow. what a letter. i am crying. i remember that tragedy and wondered how he would survive. he is so right….that without emunah and Torah people suffering would just give up…or end up in an institution….it is true that HaShem gives a certain strength and uplifting spirit together with the decree…. i am happy to hear from this precious young man- tzaddik…that he is doing well and was so special to reach out to the kletzky family..am yisrael is truly comprised of special individuals…May we know of no more pain and suffering!! !May HKB”H uplift us on the wings of mashiach to the third Bais Hamikdash very soon!! and for us to meet all the holy souls that klal yisrael lost throughout this bitter bitter galus.